Patrick Roy, unemployed since resigning as coach and vice-president of hockey operations of the Colorado Avalanche, says he plans to enjoy his first winter off in memory. "I never really travelled, other than hockey-wise," Roy said Thursday at the Centre Videotron. "I'm certainly planning to do some trips. "It will be very different but I'm excited about it." Roy, who spent three years behind the Colorado bench, informed the club in July he would not return for the 2016-17 season, saying he needed more input in decision making. He is not seeking another job for the moment and, with a year left on his deal with Colorado, anyone interested in hiring him would need to go through the Avalanche. "I have a year left on my contract with the Avalanche and right now, I just want enjoy myself," he said. "It's been a great journey and it's nice now to take some time off." 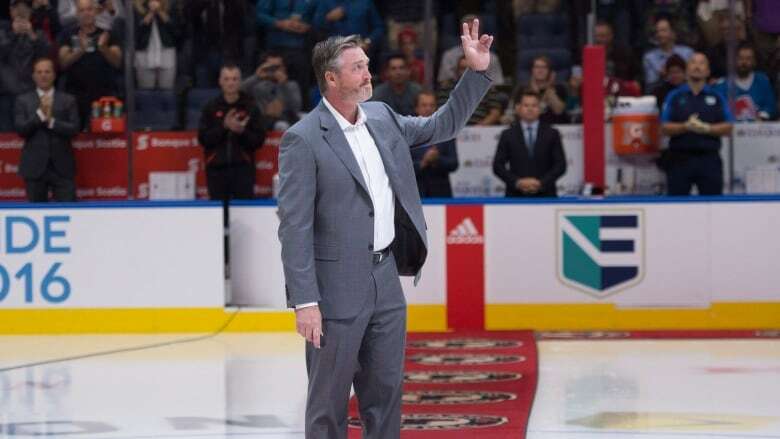 Roy got a big ovation at the packed new arena when he the dropped the puck in the ceremonial faceoff before a World Cup of Hockey pre-tournament game between North America and Europe. The Quebec City native, a Hall of Fame goaltender with Montreal and Colorado, coached and managed the junior Quebec Remparts before taking his first NHL coaching job in Denver. He said he had no regrets about his time with the Avalanche or how it ended. "We had different philosophies and sometimes it's better that way," he said. "I took my time (deciding to resign) because I was close to my players and I really enjoyed them." He denied speculation that part of his decision stemmed from disappointment that one of his former Remparts stars, Alexander Radulov, signed with Montreal rather than Colorado. "(Colorado executive vice president of hockey operations Joe Sakic) has the final say and I always respected his decision," said Roy. He was impressed with the turnout at the 18,259-seat Centre Videotron, where fans are hoping to get an NHL team back after losing the Nordiques in 1995. "It's pretty impressive," he said. "They did a really good job. "We'll see in time if it's going to happen. It would be a great market for the NHL, but there'll be 31 teams next year and they're all good markets."